Idleyld Park bed and breakfast travel guide for romantic, historic and adventure b&b's. 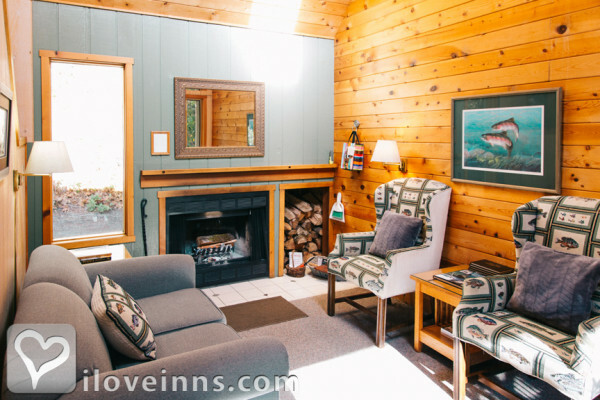 Browse through the iLoveInns.com database of Idleyld Park, Oregon bed and breakfasts and country inns to find detailed listings that include room rates, special deals and area activities. You can click on the 'check rates and availability' button to contact the innkeeper. Idleyld Park, Oregon vicinity is actually a basin because of the many rivers, creeks, and lakes in the area. All these provide great opportunities for kayaking and fishing. The most popular fishing spot in Idleyld Park is the North Umpqua River, where steelhead abound. An Idleyld Park bed and breakfast inn facilitates trips to the river as well as equipment rental and one-day licenses. For those who would like to have a short break from nature and have a few drinks try Narrows Tavern at Glide. The bridge at Mott is another attraction that is near Idleyld Park. By Steamboat Inn.